Easter Showers Bring… more snow! Because I'm such a ski fanatic, when I'm not working I'm skiing. We went to Wildcat on Easter with family and friends. 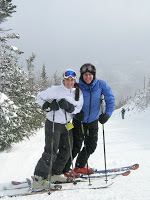 My sister, Mia and I stopped for a photo op at the top of the Lynx because Mount Washington was in the clouds. 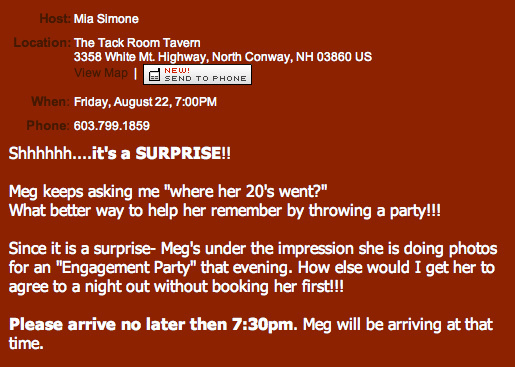 Jackie MacGreggor’s Engagement Party = My surprise 30th!